We are solving the problem of the future. Yes! You heard it Right. India is set to become the youngest country by 2020!! Every third person in an Indian city today is a youth. But do you know where our children, the citizens of tomorrow stand in terms of education? Well, we have something to share with you! India ranked second last among the 73 countries that participated in the Programme for International Student Assessment (PISA), conducted annually to evaluate education systems worldwide by the OECD (Organisation for Economic Co-operation and Development) Secretariat. Every fourth child in India (27.4 percent of total children) resides in urban poverty. More than eight million children under 6 live in approximately 49,000 slums across India. Children in the Urban Slums attend schools in their locality but are made to learn the syllabus which was meant for children years & years back! Are they really learning? Definitely, NO! Even if we try a 1000 times to make a fish climb tree, it will end up her life believing that it is stupid! Every child has a different dream, different interests, different aspirations, different talent! But are fed the same syllabus! Is it fair? Think for a moment! A. What different we do? Yes! 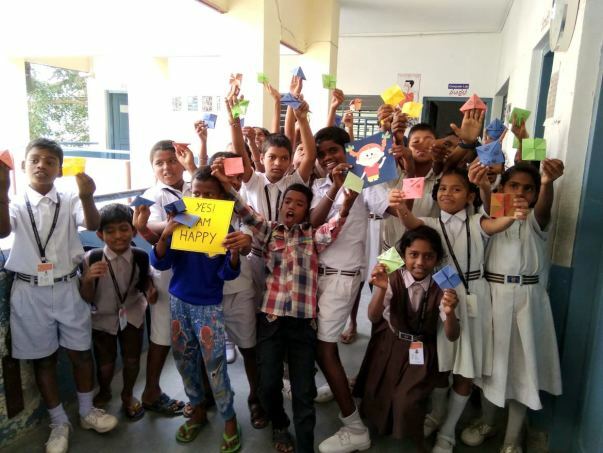 I Am Happy uses Origami as one of the many tools to teach children the 4Cs in Education - Collaboration, Communication, Critical Thinking, Creativity. 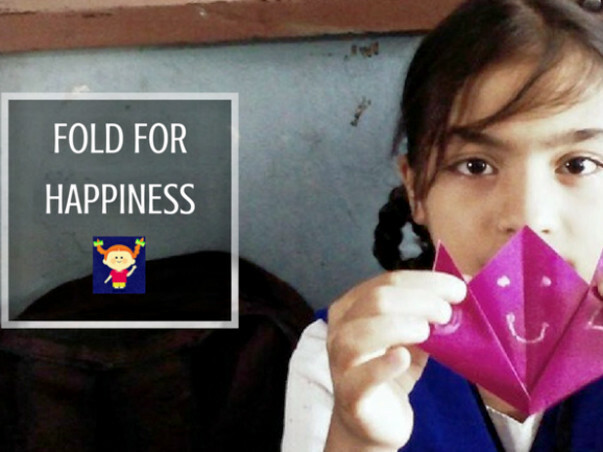 With In-depth research of 4 years we have designed our program in such a way that the children can enjoy & learn just by folding a sheet of paper. As many as 26+ concepts can be taught to the children merely by folding a square sheet of paper. 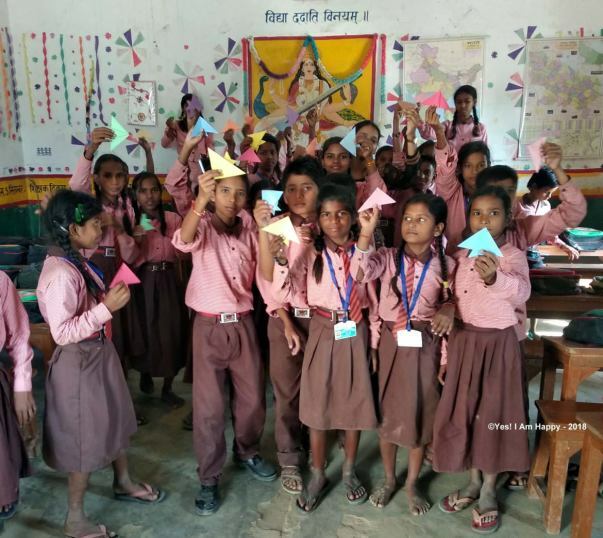 Origami is an effective tool that help children develop their cognition, motor skills, understand the concepts in Mathematics, has helped children and adults with Attention-deficit/hyperactivity disorder (ADHD). B. Origami is magical. How? 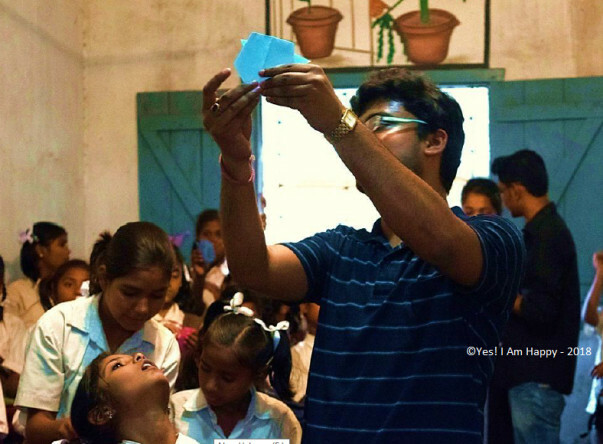 We have a short story to share from one of our sessions in a government school in Surat. The children come from a community where Hindi & Urdu are their local languages. The school being a Gujarati medium, has English as their fourth language. Our Modules have instructions in English. As a result of this children have to seek for help from other children who are good with English. 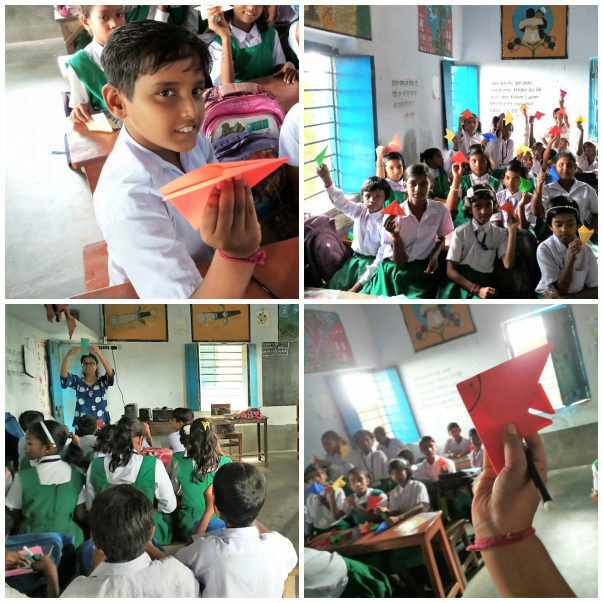 They also apply their critical thinking skills to read through the instructions and come up with origami designs and children collaborate over competing to learn and grow together. C. Drivers of Change: Learn about our Happiness Agents! With a prime focus on facilitating 21st Century Skills to the underprivileged children form urban slums, we are working towards creating a community of socially active youngsters dedicated for creating a positive change. 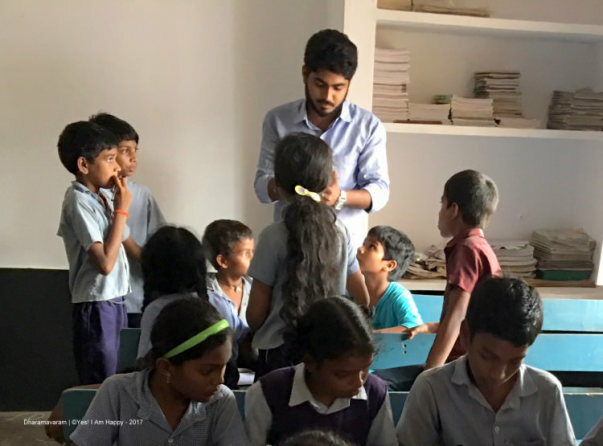 Our Internship program is a 2 month long process wherein students from different colleges across India are selected to study & learn with us multiple dynamics of the Indian Education System. These Interns then become the change agent and facilitate creative education using Origami as one of the tools to drive change. Currently we have our 6th batch of interns with us. D. Whom We work with? Yes! I Am Happy facilitates 21st Century Skills for Holistic Development of children living in the Urban Slums. We work with the children in the age group 9-11 years, studying in the classes 5 & 6 in the government schools are receptive to new ideas and opportunities and possess a fantastic ability to learn new things but at the same time are often overlooked and left behind in this 21st Century. Thus by supporting and working with children from this segment we believe we can have the highest impact on their lives. We are working on facilitating Creative Education in the Urban Poverty through our Internship Program. You can check our Annual Report, here, to know more about our work. G. Change Starts from You! 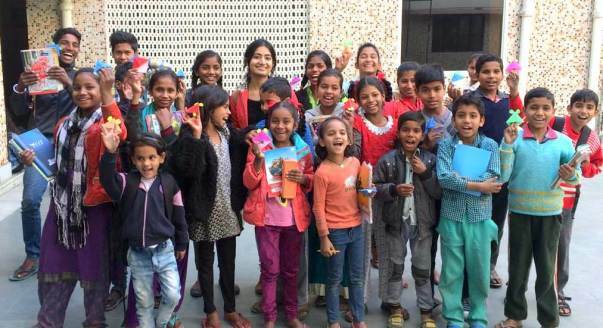 Support us in reaching out to more children across India. Here is how we will utilize our funds we raise through this platform. 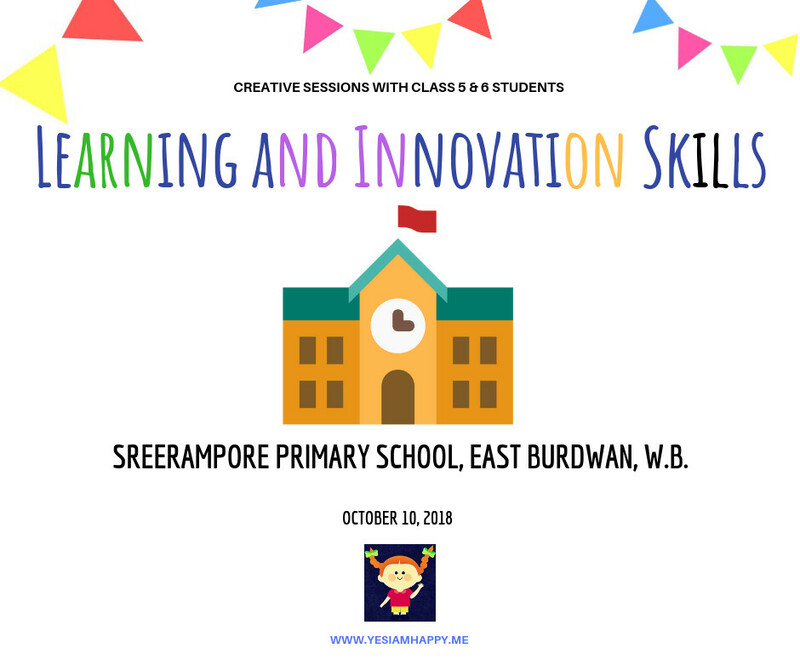 This will include conducting free origami sessions for the adults, preferably the partner NGOs, interns, college students over social media or in person at colleges who can take this art forward. 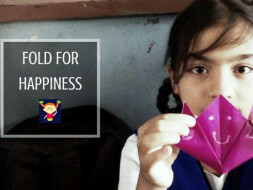 Whatever, the amount will be left after the target of reaching out to 2K people is met, the same will add up to preparing Origami Kits, additionally. Please write to us, here, for partnering with us. With all the funds, we'd raised, we have tried to conduct sessions to the best possible we could. We have conducted sessions across Gorakhpur, Bangalore, Bardhaman, Kolkata so far! Here is a glimpse of the same, below. 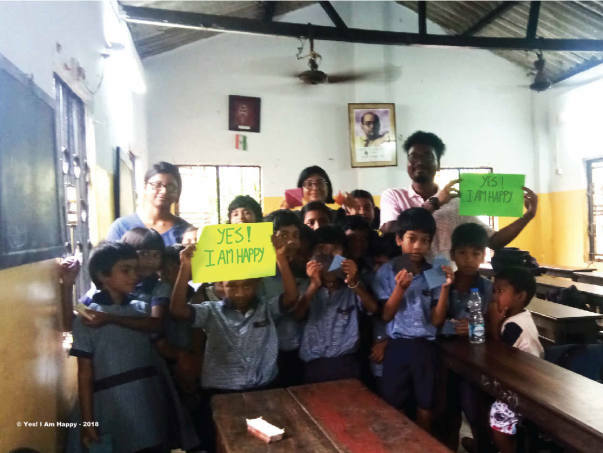 Intern Sanchita Saha, October 10, 2018 conducted the session at Sreerampore Primary School, East Burdwan, West Bengal. 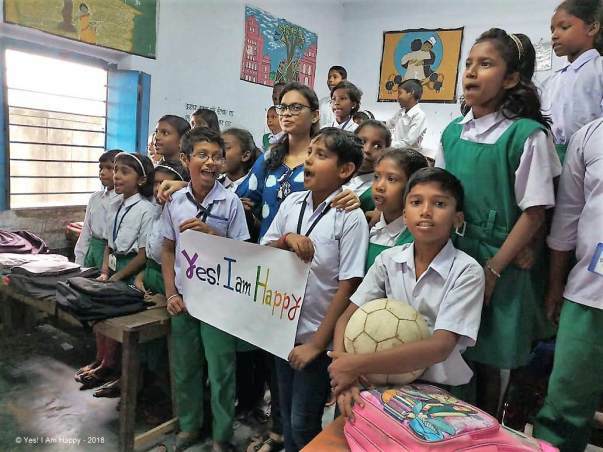 This Daan Utsav many organisations are coming together to conduct an Art Paathshala in across 51 schools in Mumbai engaging thousands of students on October 6, 2018. 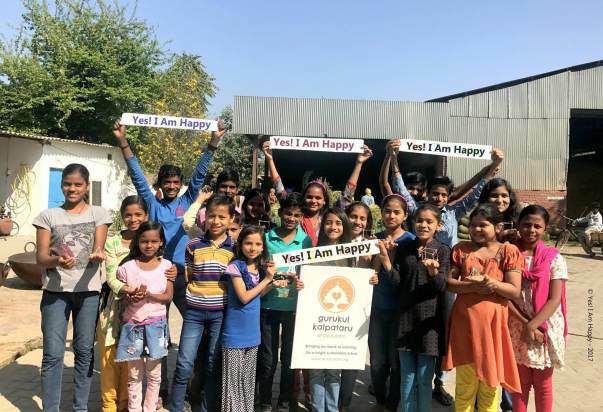 1000s' of volunteers came together to conduct a 2-hour long session supporting children to learn Paper-Bags using old newspapers and donating them to shopkeepers in and around their community. The activity was aimed at empowering children to be environment buddies, adopt & promote the practice of reuse, reduce and recycle. Along with other organisations that came together, Yes I Am Happy. was the strategic partners at the event and supported with designing logo, capturing and coming up with a video to summarize how beautiful and positive was the cause and intent. We are glad this was the first big event we were a part of the core team after starting our operations in Mumbai. We are slowly progressing toward creating sustainable change with your support.